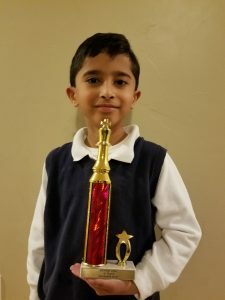 Congratulations to Hridaan Lala, one of our second grade students that recently won The Stewart Open Chess tournament, a US Chess Federation rated tournament. 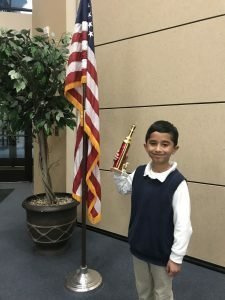 Hridaan has been participating in our chess club over the last few years and has been a great help playing with and teaching other students. Congratulations Hridaan!